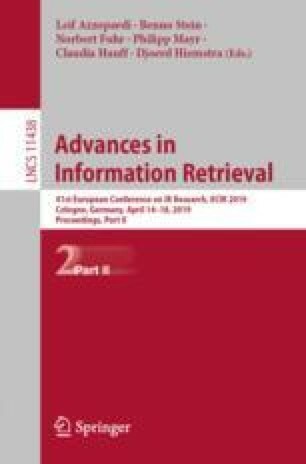 The huge amount of information that is available in social media today has resulted in a pressing demand for information retrieval models to support users in different retrieval tasks in this area. Evaluation of products or services based on other consumers’ reviews are examples of retrieval tasks where users benefit from the information in social media. However, as information in online reviews is provided from different customers, the reviews differ in their degree of credibility. Furthermore, not every detail of a product is reviewed but needs to be taken care when validating a product. Finally, reviews contain contradictions. In this work, we propose a logic-based pipeline to develop a social media retrieval model in which issues of credibility, omissions and contradictions are considered. For modeling these criteria, our approach depends on a probabilistic four-valued logic combined with an open world assumption which employs the unknown knowledge in retrieval tasks.